Sport England have published the results of a survey which shows that around 3 million children (43.3%) lead active lives, however of that group, only 1.2 million (17.5%) are meeting the Chief Medical Officer’s guidelines of more than 60 minutes of activity a day, every day of the week. 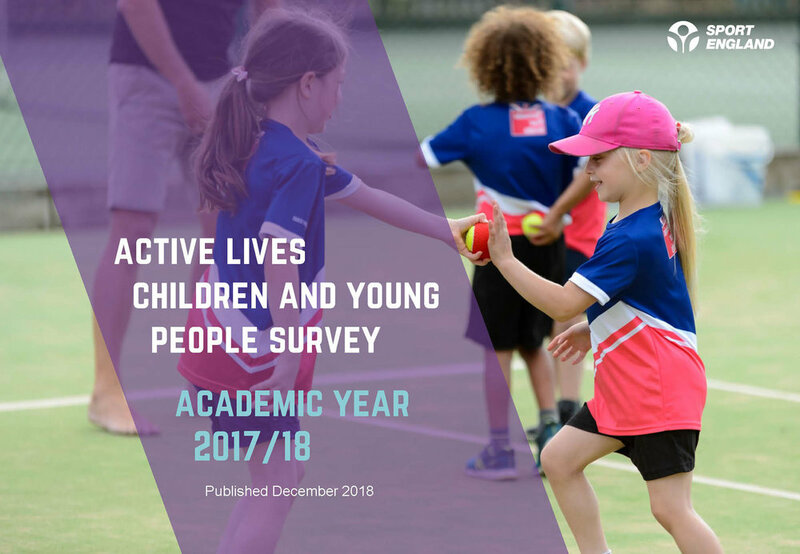 "We know that an active child is a happier child and efforts must be stepped up to encourage young people to live healthy, active lives and I know that Sport England are committed to making progress in this area. "Our School Sport and Activity Action Plan will also ensure that all children have access to quality PE, sport sessions and clubs. Together with the sport sector, parents and our local communities, we must build a comprehensive and cross Government offer to create a truly active nation." We’re seeking teams, clubs and individuals in the borough of Great Yarmouth who need funding to help get or keep us active. Please spread the word. Team sports reduce obesity and increase overall health. Athletes who train with a team are healthier. Being part of a team enhances self-image. Team sports increase long-term happiness. Team sports make you smarter. Convinced?! If your team needs funding for equipment, kit or fundraising materials - check out our criteria, you could be eligible for funding for up to £500. We're thrilled to have been able to push East Norfolk Gymnastics Club up to the funding amount they needed to buy new equipment. They're a community-based gymnastics club, teaching both boys and girls from the age of 5 up to 18 years old. They have 75 members and a waiting list of over 200 (that's how amazing they are!). The funding we've contributed to will help buy a new set of asymmetrical bars. The current bars are over 20 years old and unable to be adjusted which they need to be able to do. The new equipment will help the gymnasts to perform greater skills and linking moves between the bars with greater confidence, which will help them when they compete in competitions. It will help with confidence as currently the gymnasts are afraid to move from the low bar to the high bar in competitions as the width of competition bars is far greater than the current bars allow. Thai Chi provides a no cost activity called Run Together NORSUF Running Group, which was established in May 2017. During that time, 154 people have registered and walked/run with the group for free. Trevor Rawson is the only volunteer Group and Run Leader. He facilitates two free sessions per week limited to a max 16 people per session. The group could expand if there are more volunteer leaders but they have to be trained and licenced. With two additional leaders the group size could increase and additional weekly sessions could be offered, helping more people to get out and run. We have awarded funding so they can train two volunteer Run Leaders. This will help open up more opportunities to join the group over a wider area around the borough. Trevor says, “Established in 2016 NORSUF Running Group is a free and friendly welcoming environment for new runners. You do not have to be a runner or achieve any standard to join; everyone takes part their way. Receiving funding from Great Yarmouth Sport and Leisure Trust will allow us to train two additional volunteer Run Leaders for our Group. They will go on to conduct their own sessions welcoming more people to an activity that can, with regular practice be life changing. As an England Athletics Coach and Mental Health Champion I have seen some fantastic personal and physical achievements by our members. #Runandtalk”. Left to right: Ben Flaxman from Shrublands JFC, Andrew Grant and Graham Plant, board members of Great Yarmouth Sport and Leisure Trust, and Alan Pearce Chairman of Caister Football Club. Photograph by David Woodcock. - Missing is a representative from Revolutionary Roots. We’re really pleased that funds totalling £1500.00 have been awarded to three local groups this Autumn by the Great Yarmouth Sport and Leisure Trust. The Trust would like everyone in the borough of Great Yarmouth, regardless of age, background, or level of ability to be involved in sport and physical activity. This grass roots funding is for groups and individuals who help support some of the least active people in the borough, as well as maintaining facilities for those already active. Caister Football Club has received an extra boost to its attempts to improve their playing field which is in poor repair as it is not maintained well enough, with a £500 award. Shrubland JFC are a Gorleston youth football club with 200+ members including one of a few girls teams in the area. They attract age groups of 3-16 and are very much a community club. Facing broken or ageing equipment and kits, they reached out and applied for funds towards new sports equipment including goals, cones, bibs, and balls, new kit, and trophies for younger members of the club. Kirk Towers from the club said, “Fantastic investment into our club means we can replace old kit with new, we can’t thank you enough”. Revolutionary Roots is a Youth and Community Group working on various projects across the borough of Great Yarmouth. The group applied to the Trust for funds towards sports equipment which will aid holistically against substance abuse, anti-social behaviour and criminal activity. As a registered charity, our purpose is to benefit the public in the borough of Great Yarmouth. Maybe you’re a club or an individual that needs new equipment. Perhaps you’re a coach or a teacher wanting to start a group and you need kit, or marketing costs supported. We’re also very keen to help groups who are historically not participating in sport to get involved. Please see our online criteria form to check eligibility. Good luck! Look closer and you can see the Great Yarmouth Sport and Leisure Trust logo on this brilliant team of under 14s at the Shrublands Football Club in Gorleston. “Fantastic investment into our club meaning we can replace old kit with new, we can't thank you enough” said the clubs spokesperson. We are unbelievably proud to see this photo - if you’re a club needing a bit of extra help, please get in touch! WE are so delighted to see East Norfolk Sixth Form College student, Edward Boca, is now competing at national level with his Norwich City Powerchair Football team. Caudwell Children are a national charity that provides practical and emotional support to disabled children and their families, they donated just over £8000 to step in and help him. Do you know a talented individual who lives in the borough of Great Yarmouth? Do they need equipment, kit, tools to fundraise? Please let them know we offer funds up to £500! Have you signed up for the Great Yarmouth East Coast 10k? The popular accurately measured route takes you along the fast and flat pavements and promenade of Great Yarmouth with fast times a guarantee on Sunday 14th October at 10:30am, St Georges Theatre, Trafalgar Road, Great Yarmouth, Norfolk. There is a race memento for all participants - plus age category prizes and prizes for leading runners available. With recent research revealing that 89% of runners said that running regularly made them happier, as well as having a positive impact on their mental health and body image, why not get training and sign up here! Great Yarmouth Sport and Leisure Trust are delighted to announce the first recipient of funding, Shrublands Junior Football Club! They are a Gorleston youth football club with 200+ members including one of a few girls teams in the area. They attract age groups of 3-16 and are very much a community club. Facing broken or ageing equipment and kits, they reached out and applied for funds towards new sports equipment including goals, cones, bibs, and balls, new kit, and trophies for younger members of the club. Kirk Towers from the club said “Fantastic investment into our club means we can replace old kit with new, we can’t thank you enough”. Our vision is that community run sports and recreational projects should benefit from grass root funding, and this club is INCREDIBLE. 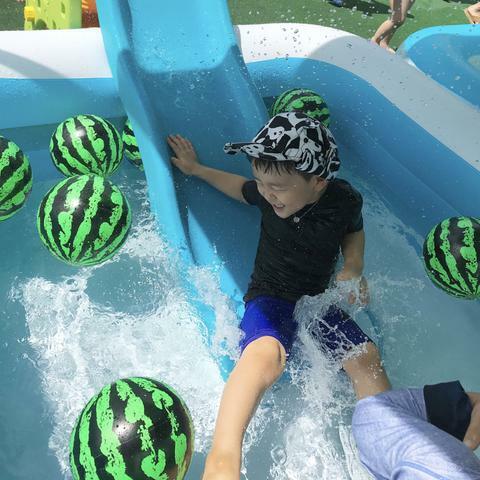 We're deep into the summer holidays - how is it going for you?! We've gathered lots of ideas to help kids get active, some don't cost a thing! Click image to see how Olympic gold medalist Jade Jones guides you through 12 special moves which will help you master the ways of the Jedi! Teach your child to ride a bike in 45 minutes - Isla Rowntree shows us at Cycling Weekly the best way. A local Great Yarmouth charity is offering grants of up to £500 each for sports and leisure clubs in the area to help promote the benefits of active lifestyles for health and social issues. The Great Yarmouth Sport and Leisure Trust is a registered charity dedicated to improving the lives of people in the area. The recent Active Lives Survey found that 25.7 per cent of the UK's population are considered to be inactive, doing less than 30 minutes of physical activity per week. As well as the obvious benefits for our physical health, sports promote teamwork, unity and confidence as well as boosting positivity and improving our mental wellbeing. The Great Yarmouth Sport and Leisure Trust is therefore determined to enable sports and leisure clubs to reach more people and make a bigger impact in their communities. Graham Plant, Chairman said: "As a registered charity, our purpose is to benefit the public in the borough of Great Yarmouth. We would like to award grants to allow more people in the community access to leisure activities such as swimming, and sports clubs or activities such as cycling, grassroots football clubs and gymnastics for example. Maybe you're a club that needs new equipment. Perhaps you're a coach or a teacher wanting to start a group. We're very keen to help groups who are historically not participating in sport to get involved." These grants will be used to support clubs, organisations or individuals who want to encourage club and sports development in the community. Applicants must provide at least 30% match funding, the grants are given four times a year in September, November, February and May (applications need to be received at least a month prior to the award month). Sports clubs and voluntary groups can apply for up to £500 in funding. Only applications from the Borough of Great Yarmouth will be considered. Any application that is actively encouraging inactive groups to become active will be gratefully received, including those in disadvantaged groups." Click here to see the criteria - and here for the application form! Good luck! parkrun is an inclusive event run entirely by volunteers who are all parkrunners themselves. It is not a race and anyone is welcome to come to walk, run, volunteer or spectate. With over 1.7 MILLION runners in the UK, it is a great way to start the weekend. It is simple to register and all parkruns are free. The organisers are keen to make it accessible to all members of the community including those with disabilities and long term health conditions. If you live in the borough of Great Yarmouth, your local parkruns are every Saturday at 9am at Gorleston Cliffs and also at Fritton Lake. Get active! If you haven't registered before, you can register here - see you there!